For many tourists, Hawaii offers an experience of a lifetime. In fact, many travelers regard this place as one of the world's top destinations. Hawaii is also viewed by many as a land of romance, while others see this place as a haven for thrill-seekers. A lot of tourists consider Hawaii as a paradise where you can have some true R&R (rest and relaxation). But in reality, Hawaii is all of these. This is a special place where the different powers of nature collide, as seen from the uniqueness of the climate and the diversity of the environment of the Hawaiian islands. Aside from this, Hawaii is also a melting pot of various cultures as seen from its cuisine, traditions, and artworks. 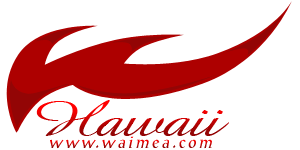 To help you learn more about this tourist destination, the following are just some of the questions frequently asked by travelers about Hawaii. When is a good time to visit Hawaii? As a vacation destination, the best thing about Hawaii is that you can have fun there whatever time of the year you choose to go. This is because all-year round, Hawaii generally has warm weather. Even during winter, which is from November to March, there are still lots of spots wherein you will find the sun constantly shining. Aside from having good weather, Hawaii also celebrates numerous festivals throughout the year. In February, witness the Makaha World Surfing Championship in Oahu. In March, witness how the locals celebrate Prince Kuhio Day, which is held to commemorate the birth of Prince Jonah Kuhio Kalaniana'ole. April also ushers in several Big Island celebrations. It is the month of O'Neill Windsurfing and the Maui Merrie Monarch Festival. In the first day of May, the big event is the Lei Festival. Lei-making contests and hula performances make this event a must-see especially for tourists. In June, locals commemorate Hawaiian monarch Kamehameha. In the following month, popular events include the Kapalua Food and Wine Festival and the Parker Ranch Rodeo. August is the month for the Billfish Tournament. There are various festivals celebrated in September such as Queen Lili'uokalani Canoe Races, Kailua, and Big Island festivals. This is also the month for the Taste of Lahaina food festival. October marks the Ironman Triathalon in Big Island, while November is reserved for the Aloha Classic Windsurfing Event and the Kona Coffee Festival, which is one of the oldest and most popular celebrations in Hawaii. The famous World Invitational Hula Festival is also celebrated during this month. In December, sports buffs will certainly enjoy participating in the Honolulu Marathon and the Triple Crown Surfing festivities. What should you bring on your vacation to Hawaii? When packing for a Vacation in Hawaii, make sure to bring plenty of summer clothes even if you are going there during the winter months. This is because the weather there is generally warm even it's not summer. Don't forget to bring a passport if you are coming from another country. What is unique about Hawaii's environment? It seems that Hawaii is a microcosm of the earth because of the diversity of its environment. In one spot, you can feast your eyes on the island's waterfalls and rainforests. And just several miles away, you can take a glimpse of a dry lonely remnants of lava flow. In some beaches, you can contemplate better with the grandeur of the calm blue waters. On another side of the island, there are beaches where you can enjoy the thrill that the waves bring through watersports such as jetskiing and surfing. If you think that Hawaii is all verdant tropical rainforests, then think again. In Big Island, just six miles away from a tropical forest, is a dry and lifeless desert. Kau Desert is located in Volcanoes National Park. The consistent blowing of the northeast trade winds and the rain shadow brought by the volcanoes keep this place dry and bare. Another unique characteristic of Hawaii is its weather. It's actually possible to experience heavy rainfall in a certain part of the islands and then be greeted by the sunshine in another part of the islands. If you are looking for romance, wait until you see the dramatic sunset on Hawaii's sandy beaches. You can go on a cruise, sit and eat in a restaurant with spectacular ocean views, or just walk along the beach to witness the world's best sunsets. The beaches, the sunsets, and the lushness of the surroundings are probably the main reasons many people consider Hawaii as an ideal place for weddings and honeymoons. And if you like sunrise more, Hawaii is also one of the best spots where you can welcome the dawn. The best place to witness the rising of the sun is in the summit of Haleakala, which is aptly named, considering that the name actually means "house of the sun." What are the other things Hawaii can offer aside from the scenery? Another good thing this group of islands can offer aside from the beautiful panorama is the Hawaiian experience. Hawaii is a place that has been heavily influenced by various cultures. And these cultural influences are actually reflected in the islands' contemporary music, cuisine, and artworks. Despite such influences, contemporary Hawaii is still deeply rooted to its traditional culture, which can be traced back to its earliest Polynesian settlers. Among these surviving ancient traditions are the dancing of the hula and the use of musical instruments made from natural materials. As for the islands' cuisine, the Hawaiians render uniqueness to their dishes by mixing influences from other cultures into their traditional dishes. What are some of the famous historical sites in Hawaii? Hawaii is not just rich in natural beauty, culture, and tradition. This place also has a colorful history. In the Big Island of Hawaii, the Puukohola Heiau National Historic Site attracts plenty of visitors each year. The temple was actually built in the 1790s under the command of King Kamehameha. This was the last major religious temple built by the ancient Hawaiians. Oahu, the third largest island in Hawaii, is the place where the famous Pearl Harbor attack took place. As of today, the actual location of the ruined US naval base is made into a museum, the Pearl Harbor Museum. This museum houses World War II memorabilia. It is also in Oahu that the state's capital, Honolulu, is located. Honolulu is where many historical buildings and landmarks are found, as well as museums and art galleries. Honolulu is famous for being the birthplace of US President Barack Obama, the first US president who was born outside the continental United States. What are some of the things that you will only find in Hawaii? There are also lots of interesting things that you won't see or experience in any other place except Hawaii. It is in Hawaii that you will find Kilauea, dubbed as one of the world's most active volcanoes. One of the rainiest spots on earth, Mt. Waialeale, is found in Hawaii's Kauai island. The islands of Hawaii are also noted as the most isolated masses of land in the world. The islands are actually located 2,400 miles from California, 2,400 miles from Marquesas Islands, and 3,800 miles form Japan. Because of this isolation, Hawaii is home to various animal species that can't be found anywhere else in the world. The islands actually boasts of having 8,800 species of endemic animals and plants. Sadly, most of them are endangered. Among these are the Hawaiian monk seal and the Hawaiian green sea turtle. Hawaii is also home to a unique species of spider called the "happy face spider," so called because of the image of a seemingly smiling face at the back of its abdomen. What are the other things you need to know about Hawaii? English and Hawaiian are the islands' two official languages. English is used in affairs concerning the state, business, and education. Still, the Hawaiian language reflects the people's heart and soul. Japanese is spoken by a large portion of the Hawaiian population. US dollar is the currency used in Hawaii. You'll find a variety of options on each island in terms of transportation. However, it is highly recommended that you rent a car so you can really explore Hawaii. Hawaii follows the Hawaii-Aleutian Standard Time. Hawaii does not follow the Daylight Saving Time like most states in the US, which means that Hawaii maintains its 10 hour-difference behind GMT. Hawaii is a place where real nature's beauty abounds. This is also one of the spots in the world that can help you create fun memories and experiences to last you a lifetime because of its unique traditions and the warmth of its people who embrace tourists like their own. A tropical paradise where you can definitely forget the hustle and bustle of the city, Hawaii has definitely plenty to offer. So if you are planning on a vacation, one good destination is Hawaii, the land where the spirit of aloha keeps the place a true paradise.